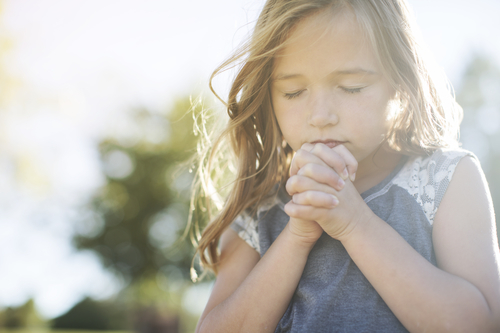 In the wake of recent tragedies, I’ve seen a lot of #Prayfor____. I’ve seen the hashtags criticized, too. I get it. It’s not enough to pray for something if prayer is a way of avoiding responsibility or giving only lip service. It’s not enough to pray if you expect God to change a mindset or fix a problem without getting you personally involved. I agree, in those cases, #Prayfor____ rings hollow. But I also see that we #Prayfor____ because we are crying out to the God who is Love. (1 John 4:8) We acknowledge how much we need God to help us through this maddening, confusing, scary time. Sometimes I pray because I don’t know what else to do, but I believe God does. It might sound crazy or naïve to you, but I believe God interacts in this world, and that makes #Prayfor____ meaningful, even powerful. Each time I pray, important things happen within me. First, I get to experience what I affectionately describe as my sixth sense – a sense of peace that can come only from the wholeness and goodness of God. Second, and I say this a lot, I am reminded that I am not God. Although I don’t actually think I am God, there are times my actions suggest otherwise. Sometimes I act like I’m in charge, of everyone and everything. Sometimes I talk as if I am responsible for the choices and decisions other people make. Worse, I sometimes get stuck in my own self-sufficiency; I think and speak as if I don’t need God. The only one who doesn’t need God is God, and I’m not clear on how that works theologically. Even a quick prayer before a meal reinforces my non-god-ness. It’s an opportunity to acknowledge that while I bought the groceries and cooked the food myself, God still had a lot to do with the creation of the meal (weather, nature, etc.) and with me having a place to prepare and eat it. I hope that prayer is still at work today. How beautiful is that visual? God bending over slightly, turning his ear to better hear our prayers. I like the idea of keeping prayer simple. I like the idea of being found. Often, my prayers have way too many words in them. My prayers can devolve into a honey-do list for God. “Dear God, today I need you to accomplish the following chores: (1) Fix the environment. (2) End racism. (3) Do something about this presidential election. (4) …” Well, you get the idea. Sometimes my prayers are so filled with emotion, I can’t manage any words. Sometimes all I can bring myself to do is sit silently. Sometimes there are tears, often there are smiles. Anyone witnessing my silent tears and smiles would probably think me crazy, but God doesn’t seem to react that way. Instead, I get the sense that God is inclining his ear to hear me a little better. When that happens, prayer is much more than a hashtag, it is the power of being heard. What do you think? Have you experienced the power of prayer? How would you describe it? Do you think prayer is more than a hashtag? Tell me about it in the comments, in an e-mail, or on Facebook.